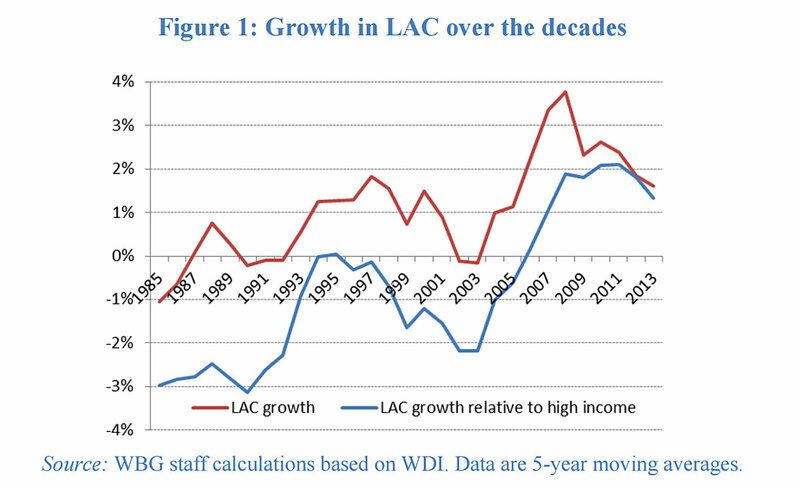 Home > Latin America: Is There Hope for Prosperity After the Commodity Price Boom? This blog was previously published in The World Post . This suggests a shift in growth drivers compared to studies  from the 1990s, which emphasized progress in stabilization-related variables, such as inflation, real-exchange rate appreciation, the incidence of banking crises, and government consumption. 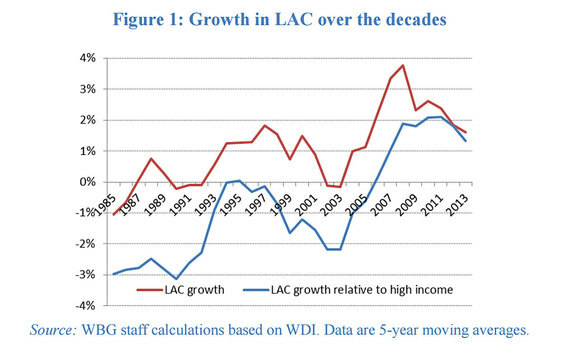 It may also reflect further the efforts of most Latin American countries to bring their macroeconomic houses in order during the 1990s. 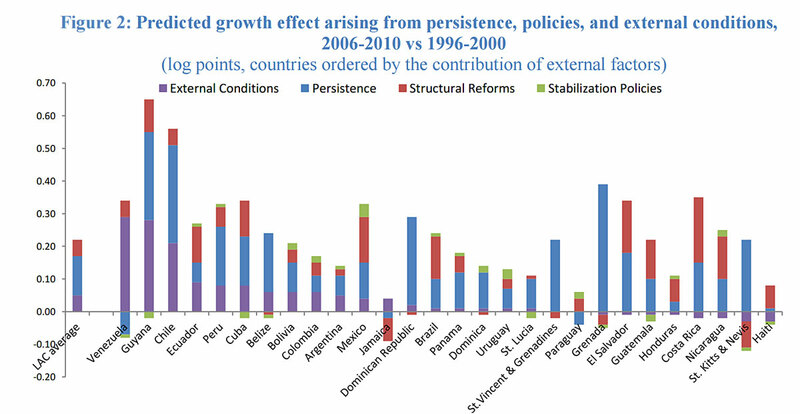 In turn, this enabled benefits to be reaped from other, more recent, sources of growth meaning that stabilization policies alone no longer constituted a means of additional growth. Source: Beyond Commodities. The Growth Challenge of Latin America and the Caribbean, World Bank 2015 .
International financing for such policies, given the tightening of global liquidity, may also become more relevant in this context. Especially as we can confirm earlier results that cyclical volatility  does impact growth in the long-run. There also remains a large degree of heterogeneity within the region . Fortunately, many Latin American countries have strengthened macroeconomic tools  to create a buffer against such shocks.